In a continuing effort to reshape itself as a ratings and guide app, rather than a ‘check-in’ collector, Foursquare has today added a Recently Opened section to its Explore feature in the iPhone app. This new feature should allow users to see new locations around them including fresh restaurants and other items. A recent update added a 1-10 score to its listings, effectively positioning Foursquare as a Yelp competitor for recommendations. As a newly minted recommendation engine, it only makes sense for it to help to surface newly opened locations. Foursquare founder Denis Crowley recently told students at Harvard that “Finding a great new sushi restaurant and sharing it with your friends should feel as good as unearthing the boomerang in The Legend of Zelda.” But the initial game-like functions of Foursquare that built the service’s early userbase are secondary to its new recommendation goals. After a local café in San Francisco hung up flyers offering a discount to Foursquare members who “checked in,” a blogger posted, “Hey, I just saw the future of Yelp, and it’s called Foursquare.” At that moment, Crowley realized the value that both merchants and consumers could derive from his company’s treasure trove of data on customer behavior. 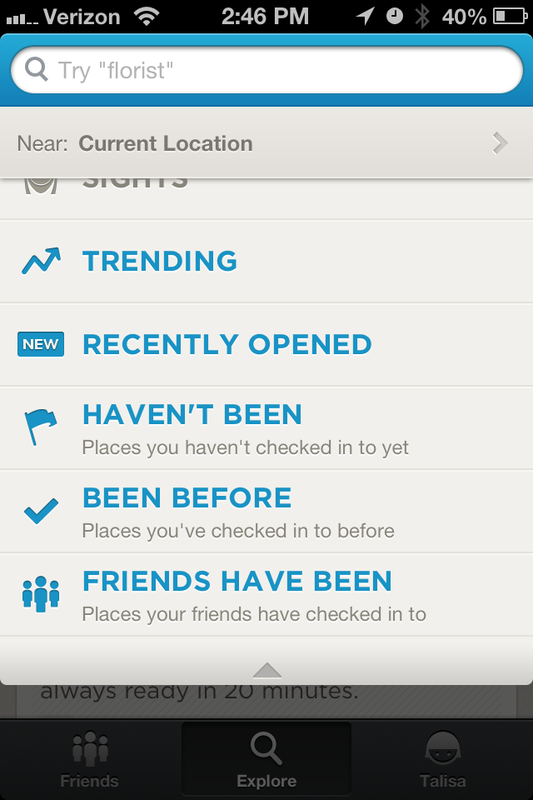 Foursquare opened up Explore feature to all visitors of its website recently, even if they hadn’t signed up. This effectively expanded the reach of Explore, and leveraged all of the data that it had been gathering from its signed-in users to fire up a recommendation engine for everyone.